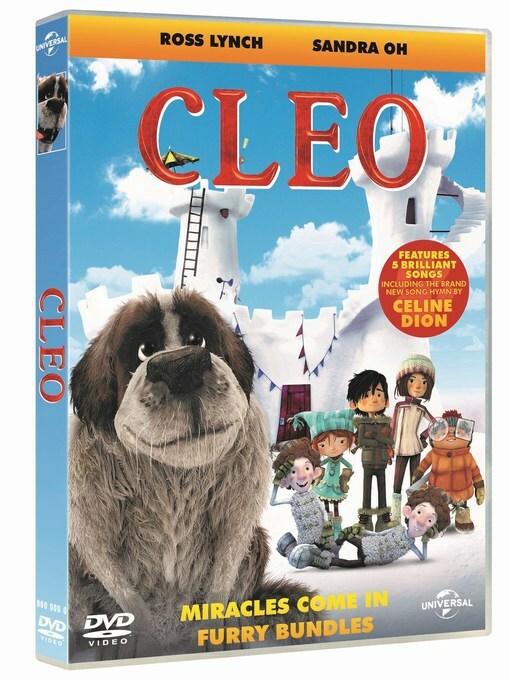 Cleo is released on DVD and Digital Download this weekend. Based on 'The Dog Who Stopped The War', the story focusses on a group of children living in a village in Canada. Snowy mountain ranges and beautiful scenery surround them as they play. If you were expecting a cute tale about a fluffy dog named Cleo then think again. Okay, the eponymous dog might well be huge, fluffy and cute, and the movie might be full of laughs and jokes, but this is also a genuine 'coming of age' tale which covers some serious ground. Over the school holidays the children's play gets a little competitive, they split into two groups and they take a snowball fight to it's limits, one side building the most amazing snow fortress you could imagine. As they progress through the holidays they continue the battle, led by their two leaders General Luc and Marc. Cleo is Marc's dog. By the last day of the school break they have all learned a lot. They have learned how to get along with each other, about life, and about death. The movie is funny, and my boys laughed out loud and they really took a lot from it. I really enjoyed it too, although it left me quite taken aback and with a lot to think over. It's a sensitive tale with a cast who are quirky and without exception they are all good kids. The animation is gorgeous, the characters have lovely soft rounded faces, and lots of expression and individuality. Movement is well portrayed, the smallest children complete with snowsuits and trying to charge the fortress made my boys howl with laughter. The character voices are from an all-star cast including Ross Lynch and Sandra Oh, they've very well done and never irritating. The musical score is excellent. I'm not generally a Celine Dion fan, but throughout the film the music only adds to the atmosphere and quality. 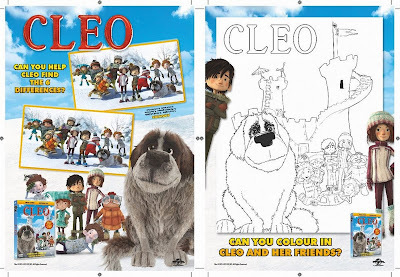 Cleo is an excellent movie, it is a real 'grown up' tale and it's best suited to children of school age, and their families, but has something to offer everyone. If you want to see more of Cleo, then Eileen over at ET Speaks From Home is hosting some great Cleo Movie Free Printable Activity Sheets. Cleo is released on DVD and Digital Download on 15th February priced around £7. Available at all good video stockists in store and online.